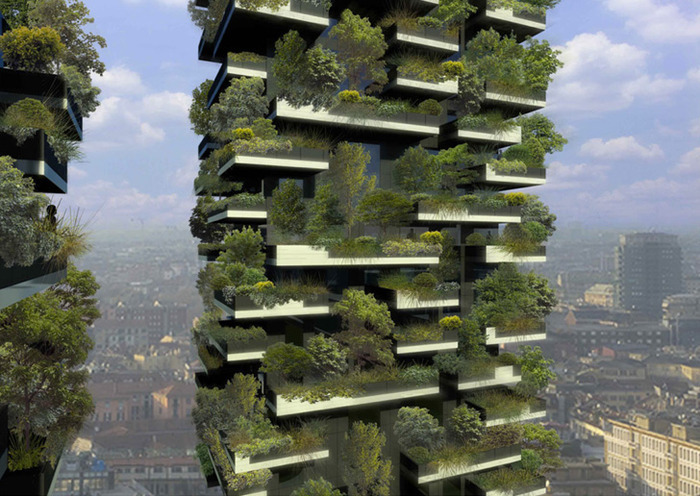 In Milan, a forest will soon be planted in the sky. Building works for a pair of skyscrapers that will become home to the world’s first vertical forest is underway. 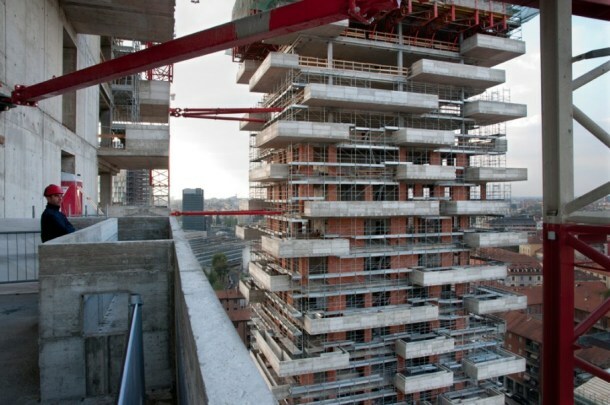 The brainchild of architect Stefano Boeri, the €65 million ‘Bosco Verticale’ is already under construction. When complete, the skyscrapers will contain luxury apartments, each one equipped with a copious balcony specially designed to hold around 900 small trees and other plants. If planted on the ground the total vegetation would cover an area of 10,000 square metres. reducing rainwater run-off so curbing flooding. And all this, claims Boeri, for a premium of just 5% on the cost of normal high rises. 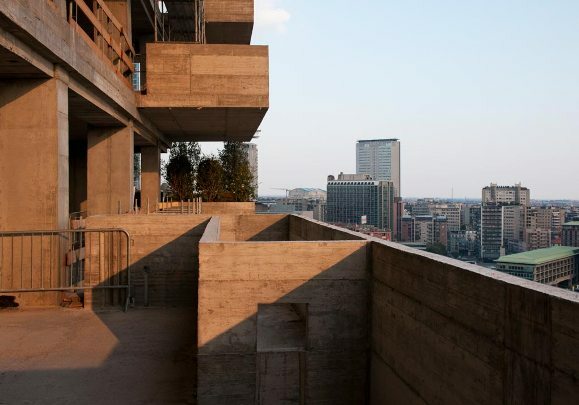 On the surface, it is a simple idea – with growing populations requiring land use for lodgings, why not plant our greenery upwards, rather than outwards? It is certainly becoming increasingly popular, with schemes in Chicago and Suwon, South Korea [see 'Fish and veg take to the skies']. Alexander Felson, Director of the Urban Ecology and Design Laboratory at Yale University, agrees that “there will potentially be microclimate and air particulate removal benefits”, but warns that the “overall energy required to construct a building that would support both trees and the wet weight of soil” places some serious question marks over its overall sustainability. He favours a more modest approach focusing on green roofs.